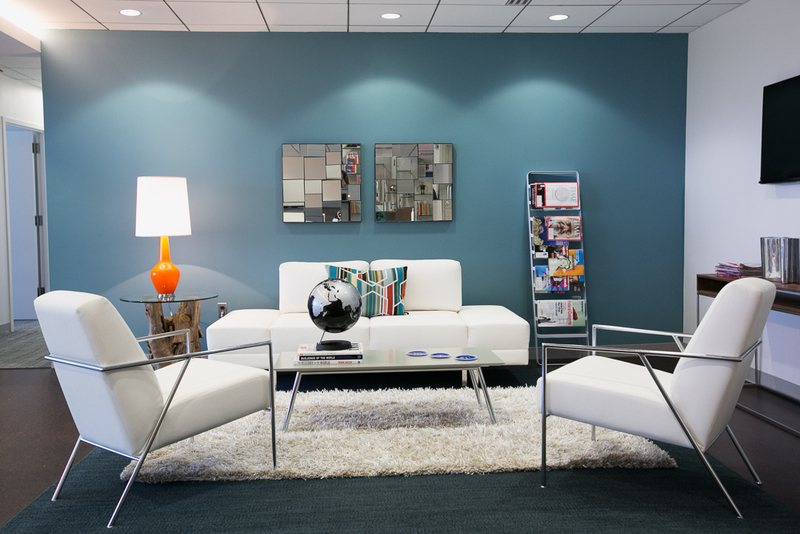 When taking on this project, I wanted to integrate the company colors of orange and blue into the lounge space. The company is comprised of predominately young professionals in the DC area. However, potential clients who come in may be a bit older and more established. Taking the new, edgy youth and the sophisticated crew in consideration–I created my favorite look: the mix of modern and vintage. 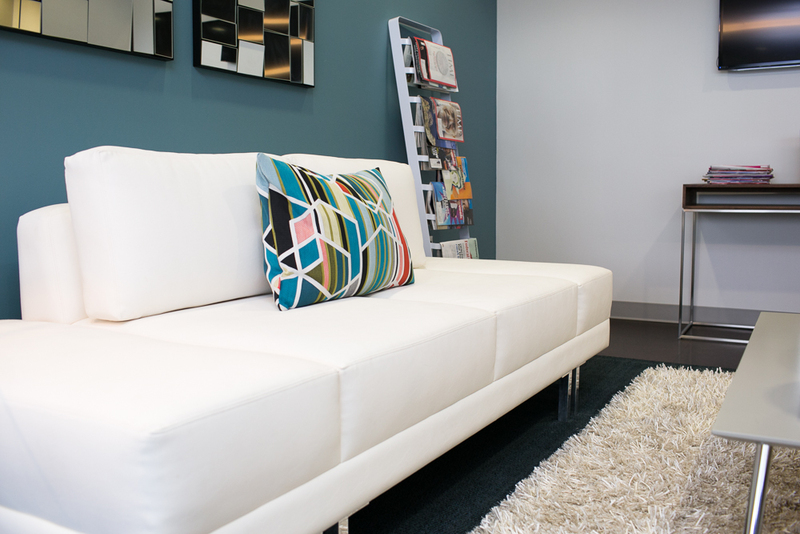 The bare bones I worked with was the furniture — white leather is truly the most indestructible and versatile fabric. Adding an orange, glass bottle shaped lamp gives the space color and character. 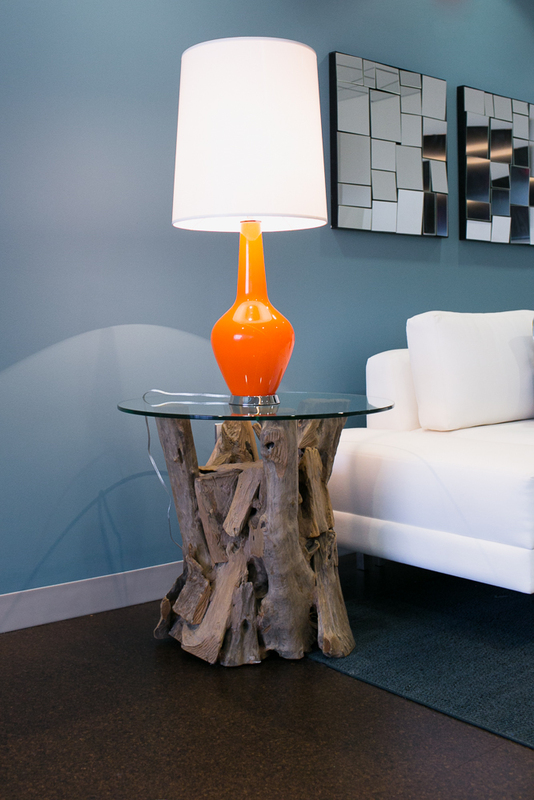 The rustic driftwood side table brings in a bit of the outdoors (considering the lack of windows in the space). 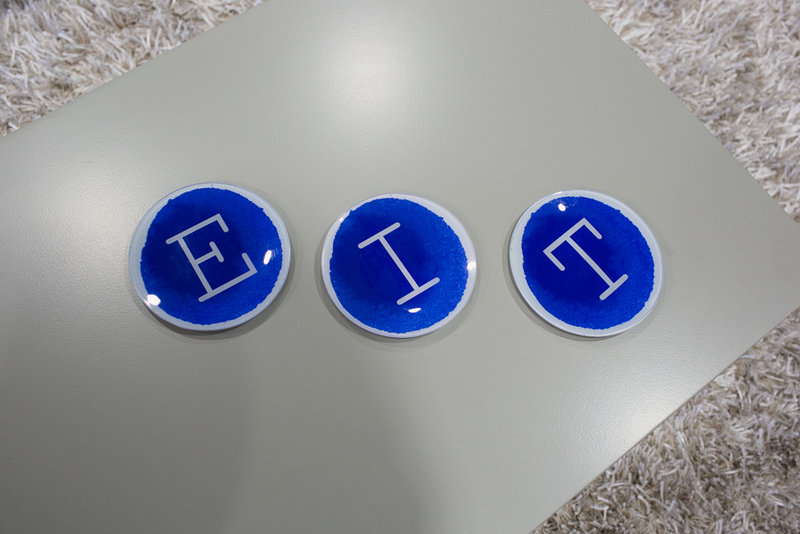 I found monogrammed blue soap dishes and decided to use them as a table accessory, showing off the initials of the company. The end result is modern with the use of clean lines juxtaposed with a vintage charm that screams character.